Welcome To the Game, Partner! 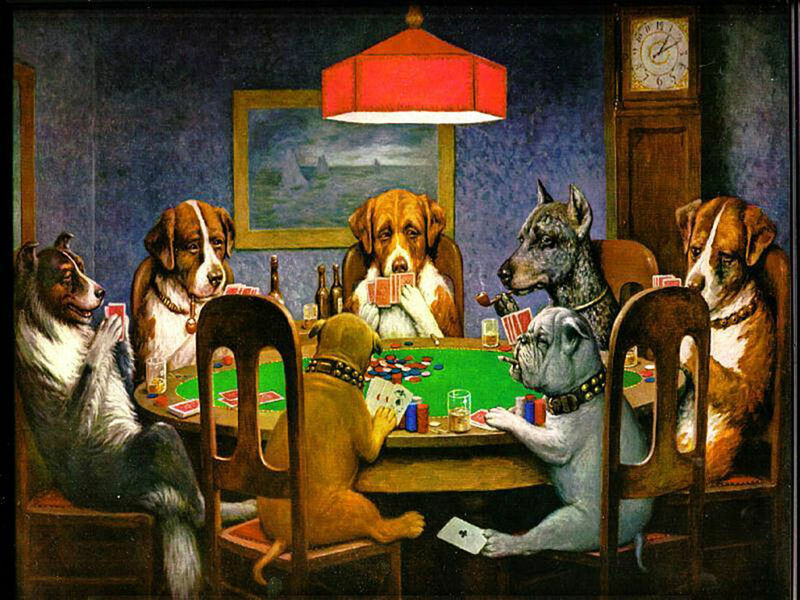 Almost everyone has seen the famous "Dogs Playing Poker" series painted by Cassius Coolidge in 1903. These paintings have become some of the most popular and recognizable paintings in American art history, and certainly some of the most famous card-playing artwork in the world. 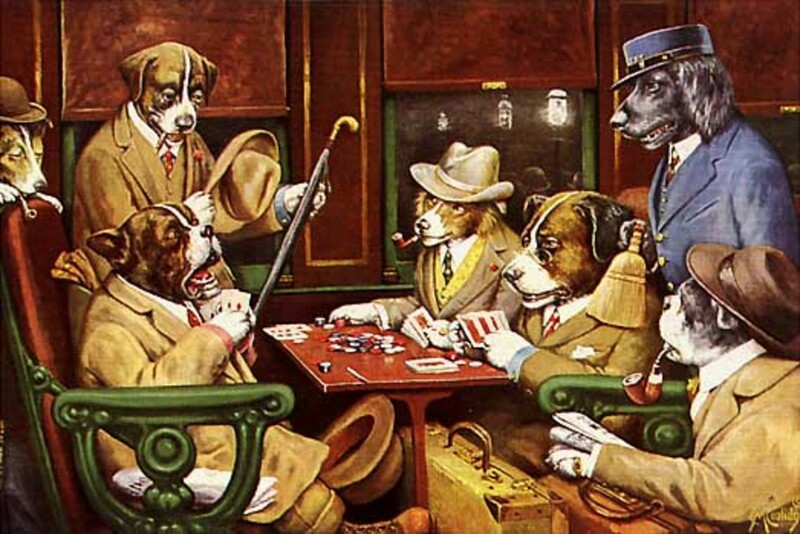 The caricatures of these dogs dressed like humans and sitting around a poker table have become not only pop and "schlock-art" icons, but much-imitated and parodied throughout the last century. What are the history behind these paintings? What other kinds of dog art did Coolidge do? What painters did Coolidge's paintings inspire? That and more will be explored in this hub. So please, read on and have a "dog-gone" good time! 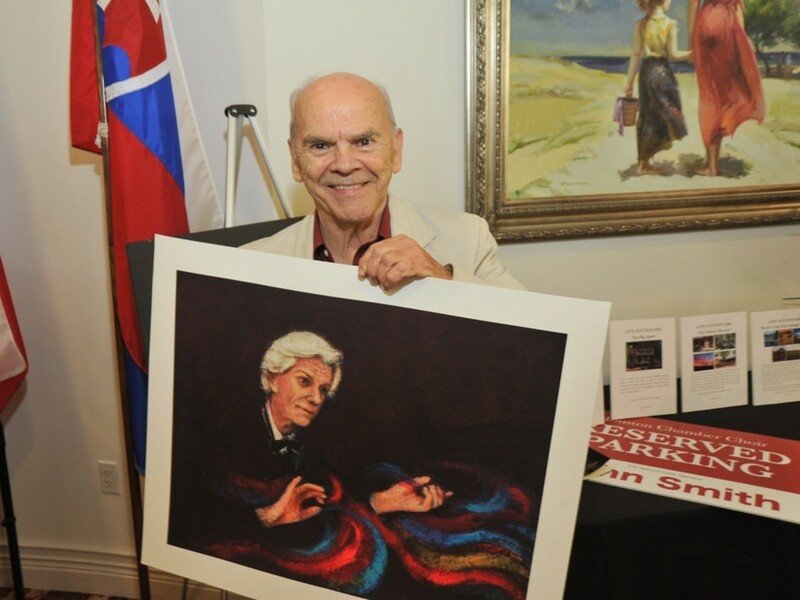 Barry Belcher In Action Painting "Waterloo"
Before "Dogs Playing Poker", Cassius M. "Kash" Coolidge was a man of many trades. He worked as a bookkeeper, druggist, sign painter, amateur journalist, and an illustrator. He wrote travel articles for the local newspaper in Antwerp, NY, and even wrote an opera! He also founded his own bank (which still exists today in Antwerp) and newspaper. "Comic Foregrounds", which are the funny caricatures with holes over the neck in which passers-by can insert their own head and have their picture taken, are said to be Coolidge's invention. In the 1890s, he painted a number of prints for companies such as cigar companies. He painted a wide variety of paintings, including paintings of dogs. In 1903, Coolidge made his place in "schlock art" history when he signed a contract with St. Paul advertising company Brown and Bigelow to make a series of calendar prints. This series was a set of 16 prints depicting dogs not only dressed like humans, but playing poker as well. Unlike other dog paintings of the time which usually depicted dogs as "man's best friend" or as being cute and adorable, these dogs are bawdy. They dress and behave like early 20th century upper-class men in a posh setting, wear suits, drink rum and smoke cigars, and give each other menacing glances over the poker table. 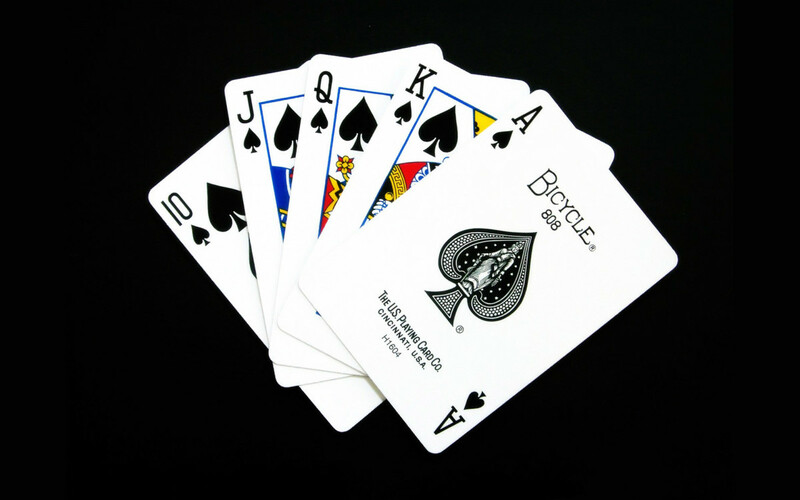 This was at a time when poker had made its way out of the saloons of the Wild West and into the backrooms of doctors, lawyers, and other upper-classmen. These people were exactly toward whom the paintings were oriented. That is, middle and lower-class males. The popularity of the paintings grew like wildfire and made their way into every poker hall, bar, and casino across the country! It wasn't long before they started making their way into homes as well...and they are not always prints most people are proud to admit they own! In February 2005, two of the original paintings - A Bold Bluff and Waterloo - went under the hammer and were auctioned for an unprecedented $590,400! They were only expected to sell for $30-$50,000! 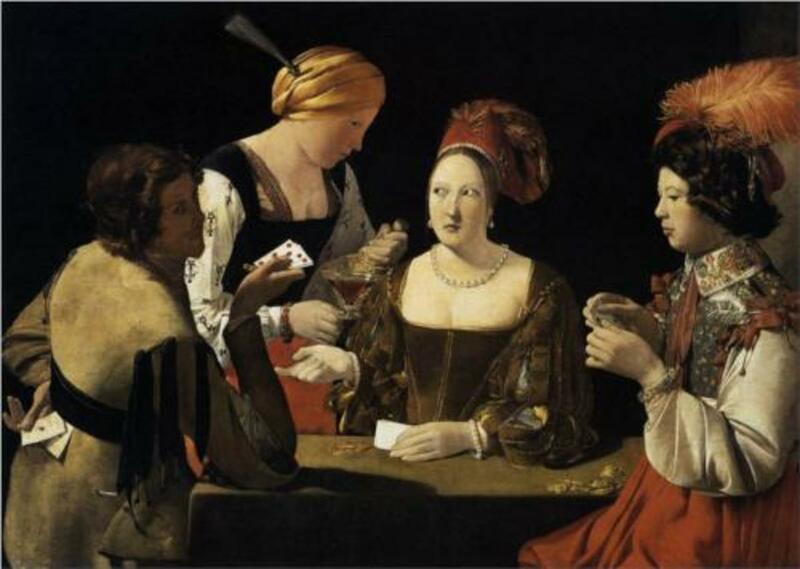 According to scholars who have spent a lot of time analyzing the paintings, one of Coolidge's primary influences for the "Dogs Playing Poker" series of paintings is thought to be the 1635 painting The Cheat With the Ace of Diamonds (right) by French Baroque painter Georges de la Tour. Just like the bulldog in Coolidge's famous "A Friend In Need" painting, we can see the cheat slipping a couple of aces from his belt and we are also complicit in his scheme! Two other artists who are thought to have influenced Coolidge were the French post-Impressionist painter Paul Cezanne (i.e. his "Card Player" series) and the Italian Baroque painter Michaelangelo Merisi da Caravaggio. Coolidge made quite a few other calendar prints for Brown and Bigelow as well as other companies. Two of Coolidge's early prints date back to 1895. One is a print he made for Columbia Bicycles featuring a monkey and a parakeet riding a bike. The other is a photogravure depicting a badly scratched-up dog who has been in a pretty nasty fight with some other dogs! The caption says "I'm a bad dog! What kind of a dog are you?" This photogravure can be found at the Library of Congress. Ten Miles to a Garage is another of Coolidge's other prints that has become fairly famous over the years. This print depicts a family of dogs on a summer outing who end up stuck on a country road. In 1909, Coolidge made another dog painting: Kelly Pool. This painting depicts a group of rowdy dogs drinking and cheering while playing a game of Kelly pool, which was a game of billiards popular at the time. 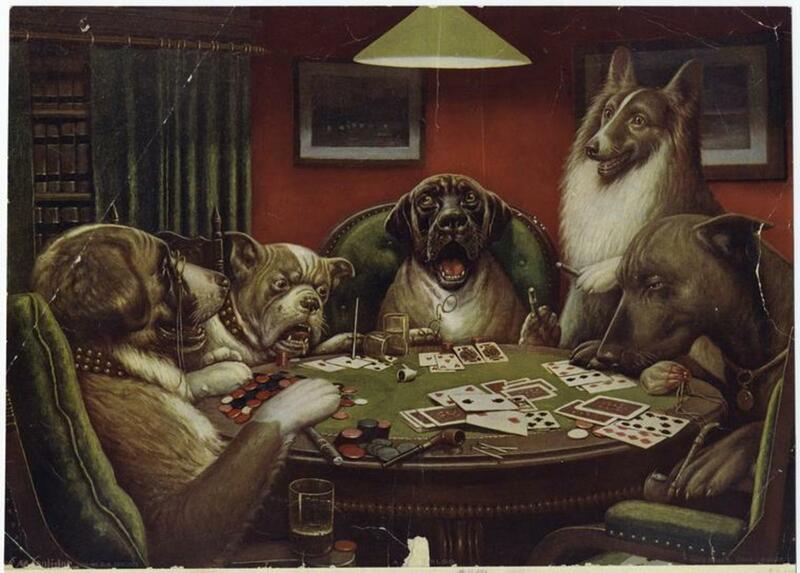 This painting is not as well-known as his others, but it is very similar to his Dogs Playing Poker paintings. Another even lesser-known "dog masterpiece" is his painting Higher Learning. In this painting, we see dogs playing a very rough game of football! They are wearing leather gear (which was standard at the time) and are about to get into a ferocious fight in front of a packed stadium of spectators! Coolidge's dogs have been imitated and parodied countless times in TV, movies, and in popular culture. During the 1990s, a series of commercials ran on the US cable sports network ESPN that parodied Coolidge's paintings using real-life dogs who sat around the poker table talking about "Monday Night Football." The depictions of the paintings in these commercials were very accurate and the "talking dogs" are impressive to this very day! Several episodes of the US comedy series The Simpsons parody the paintings, including the fourth "Tree House of Horror" Halloween special from the fifth season. In the 1980s-early 1990s American TV show Cheers, the series were favorites of the bartenders, Sam Malone and Woody Boyd. Sam's favorite from the series was "Dogs Playing Blackjack" and Woody's was "Dogs on the Train". Of course, these aren't the actual names of any of the paintings in the series! In 2011, the Budweiser beer company ran a commercial for Bud Lite featuring dogs playing poker in a modern contemporary setting. This commercial aired in February during the Super Bowl game. On the walls of the Highland Cigar Company's Cigar Bar in Atlanta, GA, USA is a giant mural version of Waterloo painted by artist Barry Belcher. This version goes above and beyond the prints that have adorned the walls of countless other bars over the past century! Coolidge's poker-playing dogs have been featured on a massive amount of merchandise over the past century. After the initial release of the series, Brown and Bigelow featured the paintings on a number of items, including calendars and ashtrays. These items were phenomenal sellers back in the 1900s. During the 20th century, interest in Coolidge faded somewhat, but the dogs made frequent appearances on merchandise ranging from liquor and tobacco company knicknacks to cologne bottles. In the 1970s, Coolidge made a triumphant comeback into the American conscience thanks to an article in the February 1973 issue of American Heritage. Ever since, his dogs have been a mainstay of all kinds of novelty merchandise! In 1994, the Ralph Marlin necktie company made a series of "Dogs Playing Poker" neckties, depicting the dogs from A Friend In Need on the tie. These ties have become hot novelty items over the past two decades! In recent years, Coolidge's dogs have been featured on caledars, posters, mousepads, playing cards, clothes, underwear, and much, much more. Over the past century since they were first published, Coolidge's original paintings have become some of the most famous paintings in American history. There have been many paintings inspired by Coolidge's that have become equally famous, including a few by some famous artists. 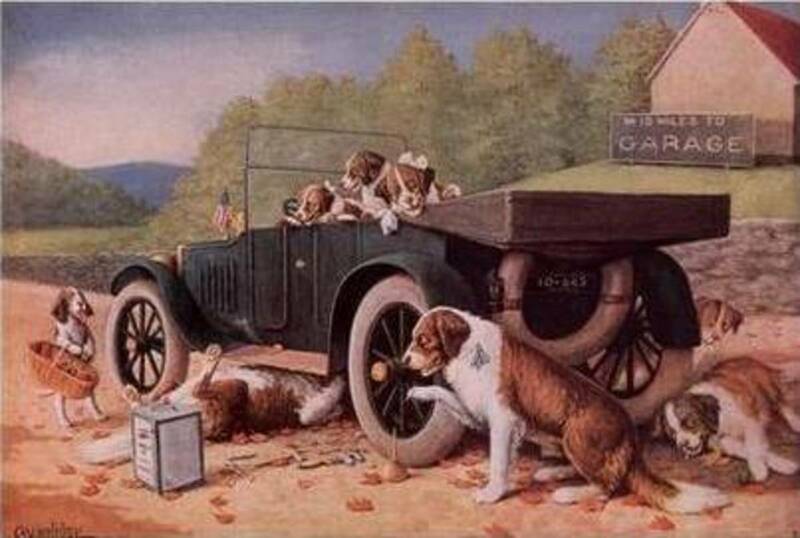 In 1907, four years after Coolidge released his series to the world, the Yuengling Beer Company released a calendar painting titled "A Good Story", in which four puppies are sitting around and having a good time at a bar. 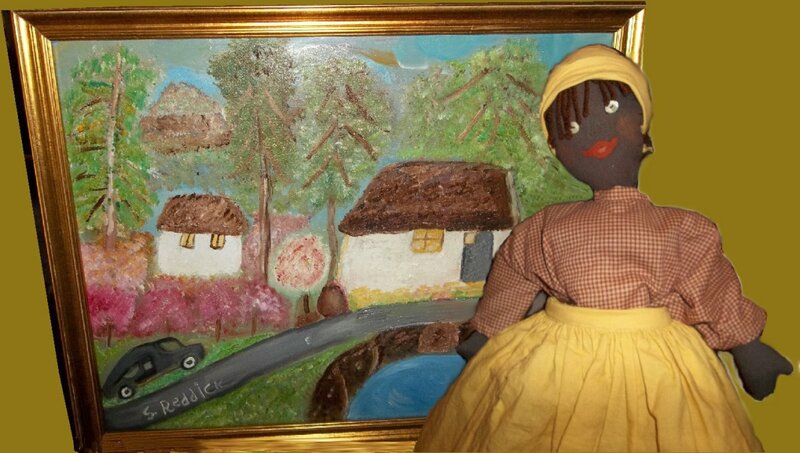 It's quite possible this painting was inspired by Coolidge's paintings. 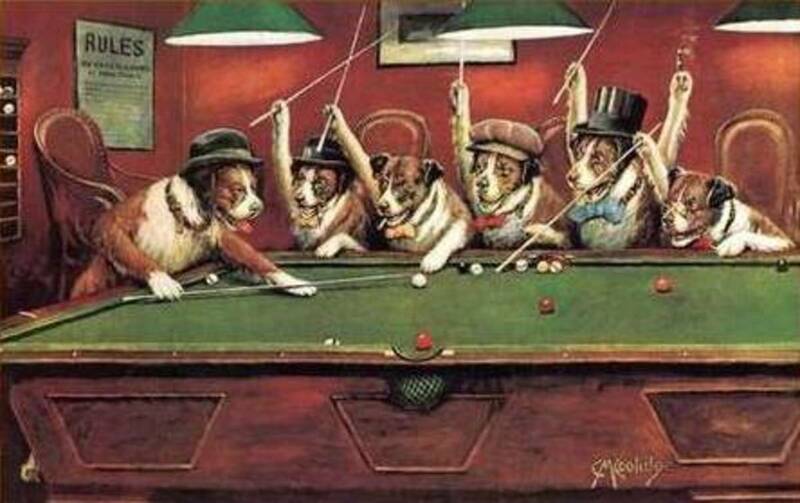 The other famous "dogs playing poker/pool artist" is without a doubt Arthur Sarnoff (1912-2000). His 1957 painting "The Hustler", which depicts a group of dogs playing pool, was one of the best-selling American paintings of the 1950s. It - and his other famous "pool-playing dog" paintings such as Jack the Ripper and Scratched at Dawn - also have special places in American "pool hall art"! 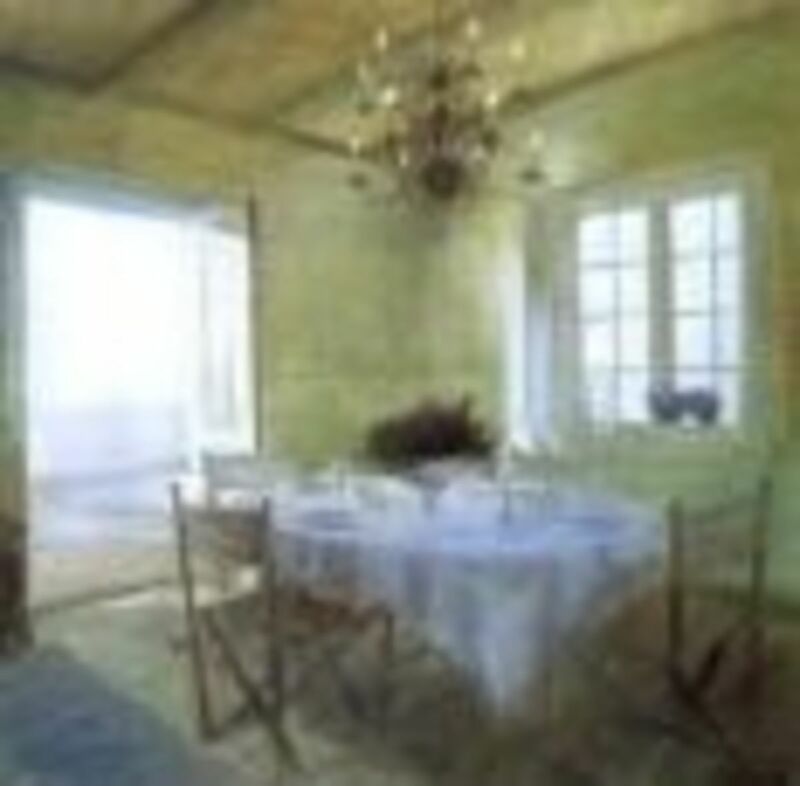 One prominent artist of the last century who was influenced by C.M. 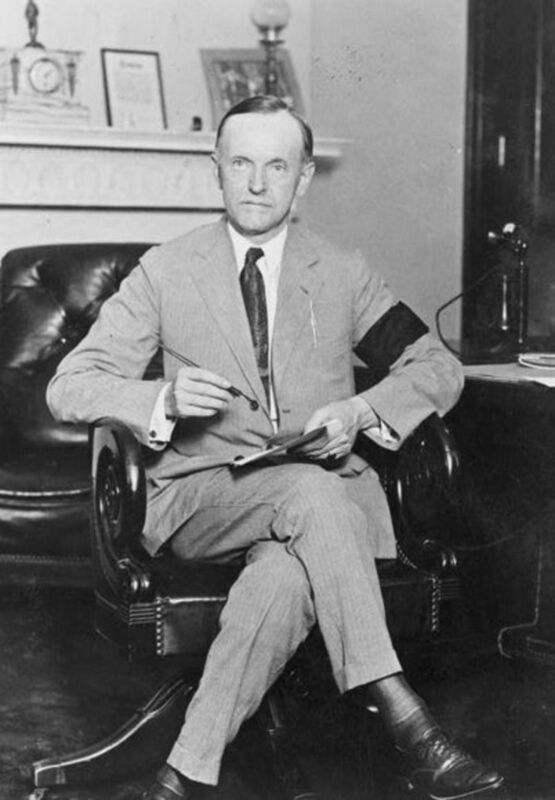 Coolidge was Andy Warhol. According to some sources, Warhol was inspired by the way Coolidge blended pop art and commercialism and with this combination made kitschy art that would be appreciated by the general public. Other artists from recent times who have made their own mark in the "anthropomorphized animal" art genre (and who may or may not have been inspired by Coolidge) include Donald Roller Wilson, Dan McManis, the photographer William Wegman, and Gerard Taylor. C'mon, admit it....you know you want one of these paintings in your living room (if you don't have one already hanging in it)! 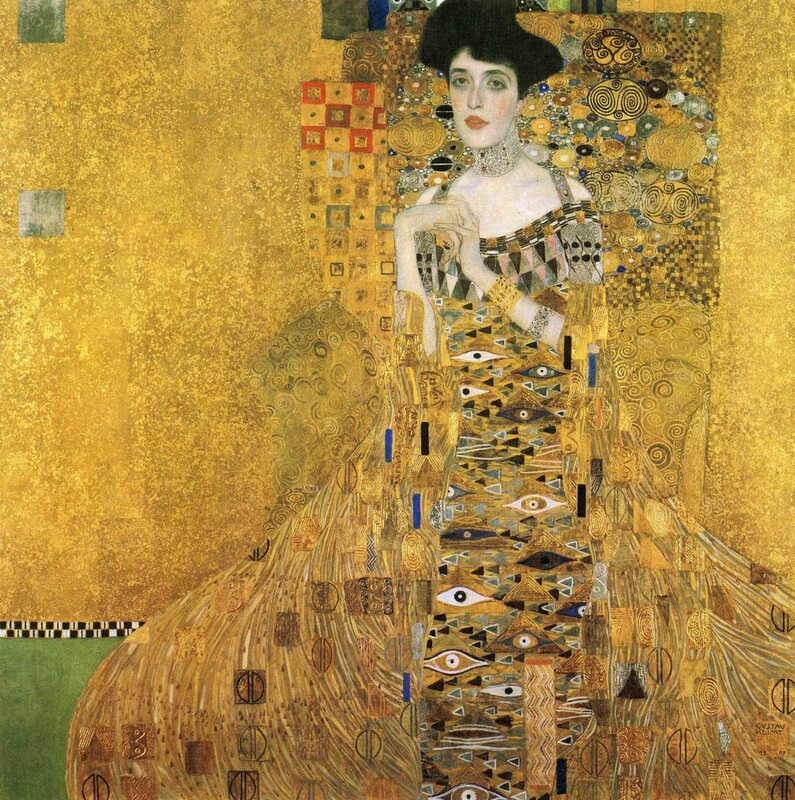 While being the shining example of American "schlock art", they are also some of America's most famous paintings. The dogs have become famous throughout the world and most people in US - and the West in general - know these dogs by heart, whether it be the actual paintings themselves or the image of dogs (or any other multitude of people or characters) sitting around at a table playing poker. Thanks for your visit and if you have any feedback, feel free to leave it anytime in Comments! Also, in case you're curious, yes I proudly own a copy of A Bold Bluff and have it hanging on my wall at this very moment! Homepage of DeMarco Productions. Several of Coolidge's portfolios, including the poker series, can be found here. An excerpt which contains info about the Yuengling puppy painting. A section from the book "Toasting Cheers" about Woody's favorite painting! One of ESPN's "Coolidge dogs" commercials from 1999 on YouTube, and a behind the scenes look at the making of the commercial. The Zeray Gazette: Geeky Variations of "Dogs Playing Poker"
A blog post chock full of "geeky" Coolidge-inspired paintings! Interesting blog post from author Susanna Calkins about a painting from the 17th century which closely resembles Coolidge's own series. Could it have been an inspiration??? Piet Bekaert: His Life, Work and Quite Remarkable Legacy. I have 5 of these prints that I received from my grandfather and I would like to know how much they are worth, one of the prints has a red signature and its off to the right, the other 4 prints signature is on the left, I know the one is the oldest. If anyone could help me with some information I would be very grateful.